Unwind with a book, surrounded by your favourite literary collections organised on handmade fitted shelving in a bespoke fitted Strachan library, of unrivalled quality. 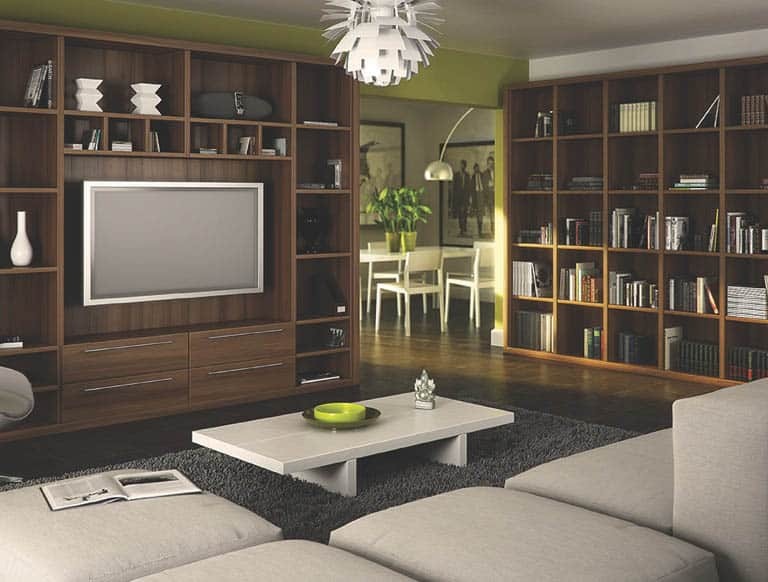 A bespoke bookcase will give you the perfect storage space for all your reading material. 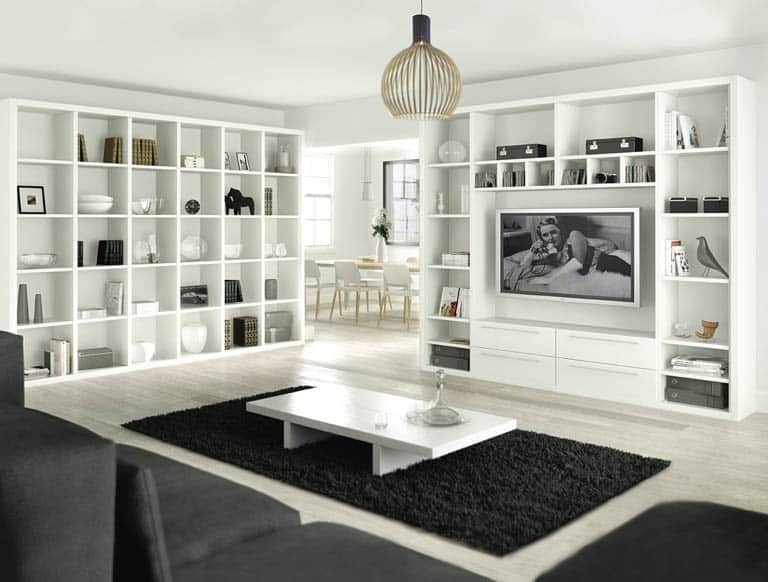 The beauty is in the detail, with spacious book shelving, designed to complement your home’s interior. Strachan has a rolling ladder system that can be custom-fitted onto your library bookcases. The ladder provides shelving access solutions for a variety of rooms in many different shapes and sizes. 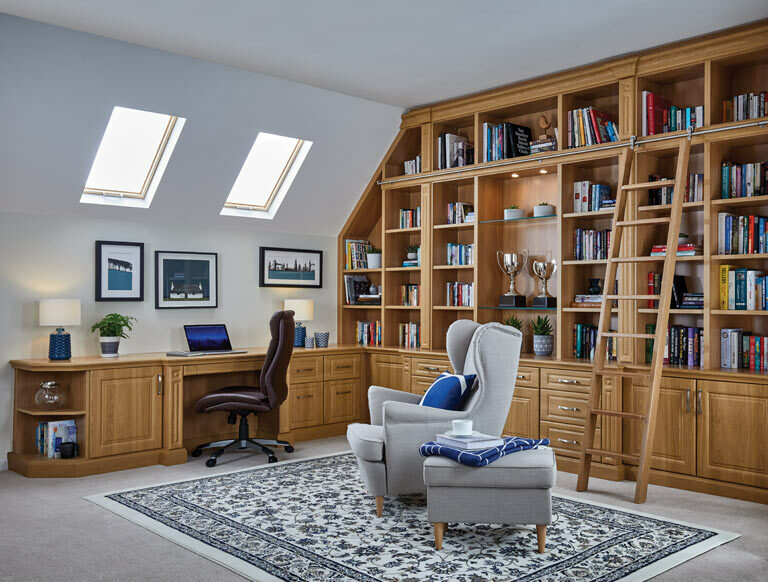 With functionality and style at the heart of Strachan’s libraries, our fitted bookcases create a truly bespoke furniture design for your home, as well as somewhere to browse your favourite titles. With up to 25% Spring Savings, there’s never been a better time to indulge in our wide collection of luxury library furniture. Take advantage of this limited offer and enjoy substantial savings across our entire fitted library range. 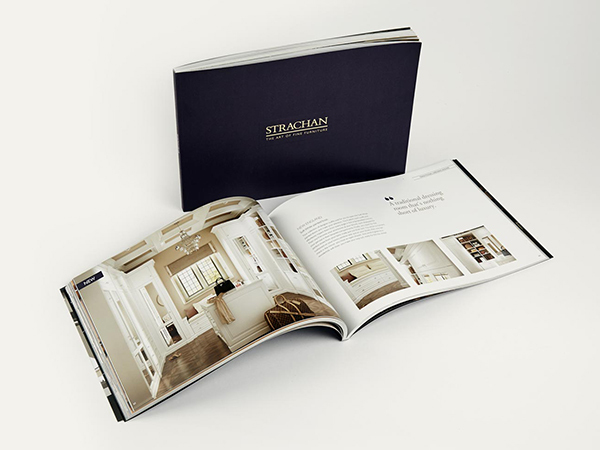 Order a free copy of the new Strachan brochure for practical library design ideas and inspiration. Find elegant bespoke designs for book rooms, archive collections and more. 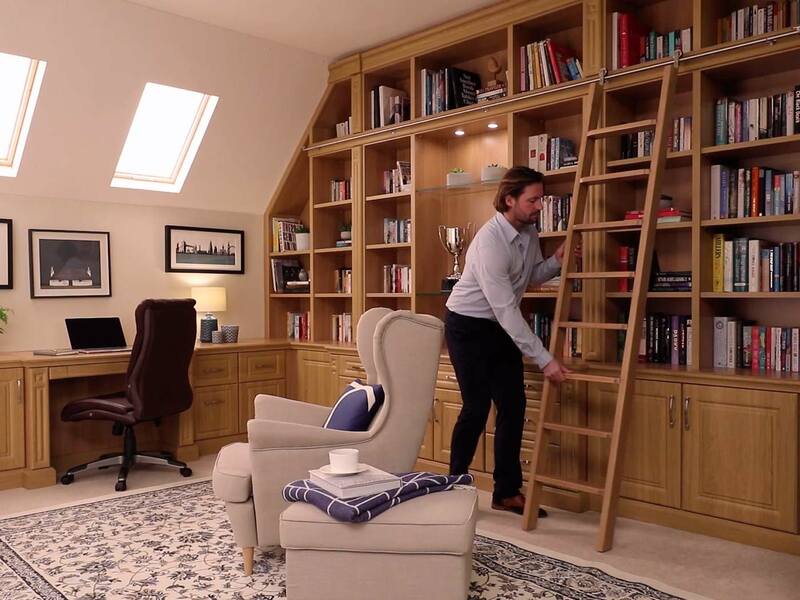 Browse at your leisure and discover the ideal way to transform your home library with elegant rolling ladders, integrate smart home technology and create bespoke storage for your literature. 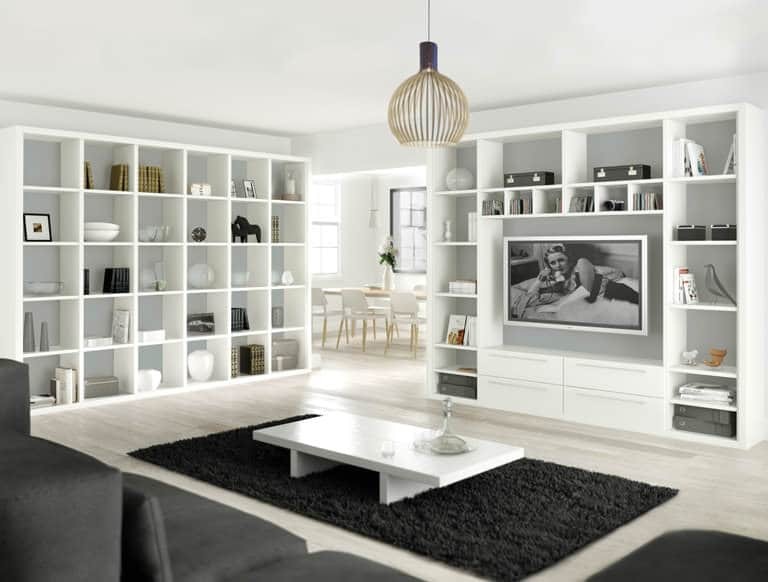 No matter how large your assemblage of literature may be, our expertly fitted bookcases will provide the perfect storage for your book collection. Using only the highest quality materials, hand-finished with precision, your new library will be the pinnacle of quality fitted furniture. From modern to period properties, a library is a sure fire way to add elegance and allure to any home. The bold lines of our Capri collection are ideal for admirers of contemporary interior styles, while the inspired detailing of our Shades of Oak range makes it undeniably dramatic. 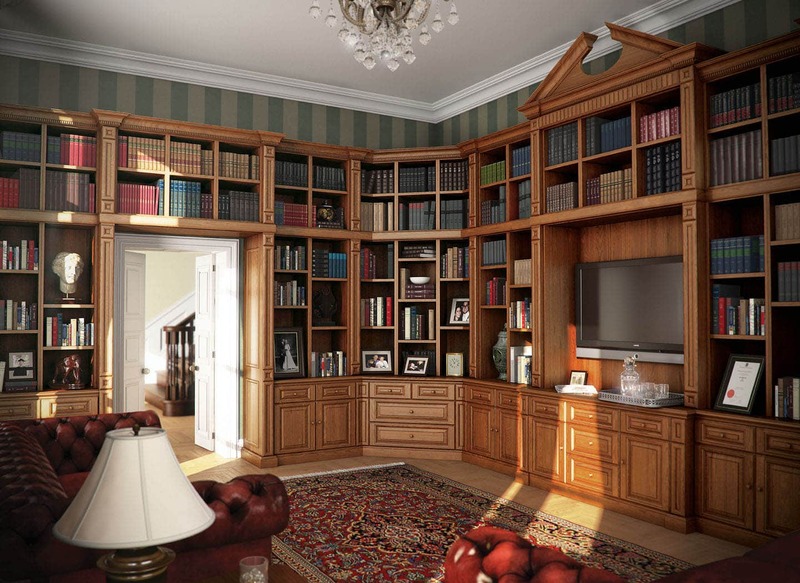 With a bespoke fitted library from Strachan the definition is in the detail. 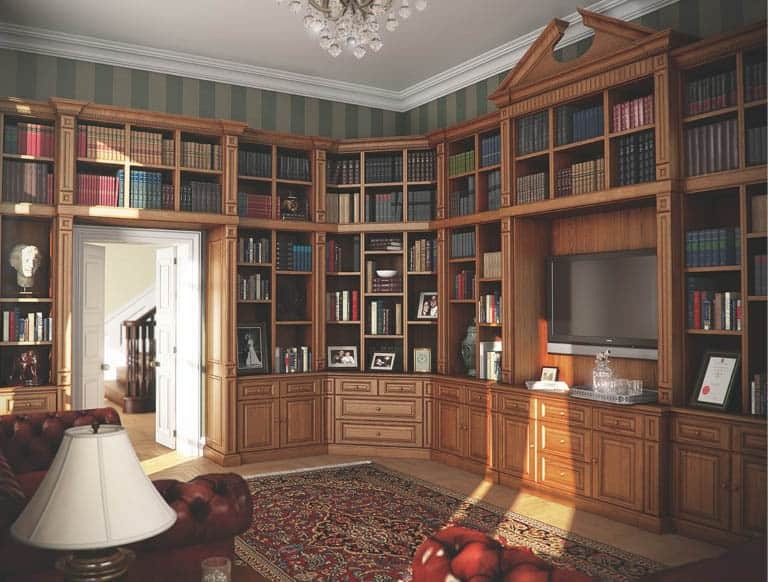 From solid wood finishes to intricate moulding and cornicing, we’ll craft a unique library design for you that you’ll simply adore as your very own peaceful reading haven. ……A reading room with no bounds. We have a national team of design experts who can visit you in the comfort of your own home to talk through your ideas and offer advice. You’ll also be able to view a wide range of samples and our full range of finishes and materials.